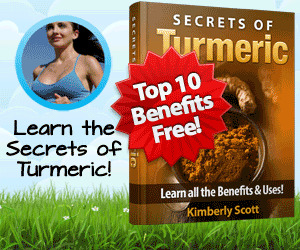 In The Vegan Insider Guide Home Study Course You Will Learn How to effectively lose weight on a vegan diet! What to eat and what not to eat on a vegan diet. The best ways to live a vegan lifestyle on a low budget. The complete steps of how to become a vegan. 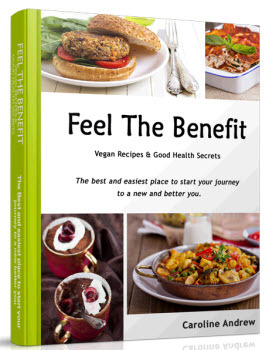 What are all the amazing health benefits of being a vegan! How to eliminate the health risks when first becoming vegan. How the vegan diet can aid with type II diabetes. The reason why you dont need cows milk to get enough calcium. The top 10 vegan protein sources! How to assure sufficient intake of vitamin B12! You should pay close attention to this! Otherwise you could risk insufficient intake. The best sources of vitamin D! And the most important one is Free! How to overcome the problems you first face when becoming vegan. What foods to replace meat with. How to avoid stress on a vegan diet. The effects of backsliding from the vegan diet. The curious trick to know if certain food is vegan or not. What to take into account as a pregnant vegan. The best sources for omega-3. The things to make sure when eating at a restaurant. How to switch from vegetarian to vegan diet. All the recipes in the new cookbook are: 100% vegan. 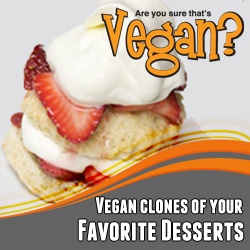 Virtually identical vegan clones of popular classic desserts. (Youll love them!) 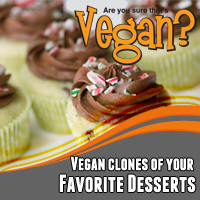 Tested on non-vegans to ensure that they taste great just like the original versions. Beautifully photographed theres a full-color photo of Every recipe. The scientific evidence is compelling. The recommendations are clear replacing animal products with vegetables and other health-supporting plant foods and reducing overall fat should be your first line of defense against heart disease and many forms of cancer. As Dr. William Harris, in his classic book, The Scientific Basis of Vegetarianism, states, The vegan (plant-based) diet, extolled by its advocates for at least 150 years as a cancer preventive strategy, is the logical end point of the dietary recommendations, now made by scientific organizations, to reduce animal food consumption. - Some nuts are too gritty (even after 7 or more minutes of high speed blending) to be good in vegan ice creams that are based on nut cream. The best nuts for making ice creams are pine nuts, pecans, and walnuts. Nuts that are too gritty to be used in large quantities (although as a small proportion can work) are almonds, macadamia nuts, hazelnuts, and brazil nuts. Sometimes, nut butters can work as a base for ice creams if they are ground very well by the manufacture, there is very little grit, and it can make a pretty smooth ice cream almond butter is a good example of a nut butter that can work well in ice creams. Anyone who is vegan or vegetarian has already discovered some of the fascinating and delectable things that can be done with vegetables. A meat-and-potatoes person may need a little more convincing that it's possible to fill an empty stomach and enjoy the meal with no meat present. This section includes a few entrees that will convince anyone that meat isn't needed to satisfy the tummy at mealtime. Vegetable stocks, which do not include meat products, are an important addition to many healthful dishes. In addition, vegetable stock forms the base for many vegetarian and vegan dishes. The basic ingredients of a vegetable stock are vegetables, herbs, spices, and water. 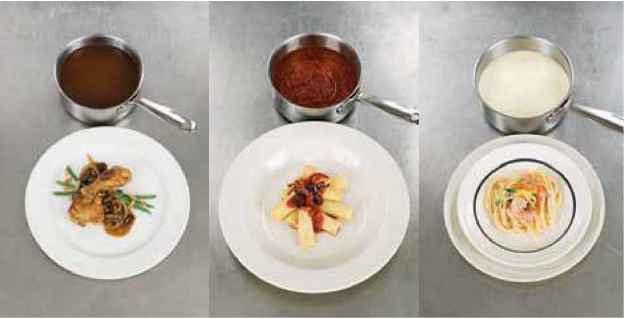 Proportions and kinds of vegetables will vary with different recipes. Vegetable stock needs to be simmered only 30 to 45 minutes. Vegan (VEE-gan) A person who consumes a plant-based diet, that is, a dietary regimen that avoids animal products of any kind. This lifestyle choice often includes the avoidance of other animal products such as leather and silk. Before you say that the the term Mainstream Vegan is an oxymoron, consider that the market for meat alternatives, particularly those that are soy-based, has exploded. Today, soyfood items such as burgers, breakfast sausages, beverages, snack bars, and baked goods have moved out of small, niche health food stores into mainstream supermarkets. According to industry analyst Frost & Sullivan, the meat alternatives market generated 622 million in 2000. Manufacturers' sales of soyfoods alone are projected to top 6.9 billion in 2005, according to a study conducted by Business Communications Co., Inc., of Norwalk, Connecticut. < i> LENTIL WALNUT, AND RICE LOAF Saute I onion (chopped) in 2 T. oil or butter. Add 'A t. salt and As t. each thyme, garlic salt and celery salt Add to onions 2 eggs, 2 c. lentil puree, I c. chopped walnuts, and I c. cooked rice (brown or white). Pack mixture into a buttered loaf pan and bake at 350F for 45 minutes or until slightly browned on top. Ruth's vegan version Saute onion in tamari instead of oil, use garlic powder instead of salt and substitute Ai c. mashed cooked cauliflower and a spoonful of water for eggs. Use a nonstick pan. Eggless egg substitutes contain no egg product.They are made of flours or other starches, plus vegetable gums and stabilizers, and, sometimes, soy protein.They are intended for use in baked goods only and are not suitable for use in breakfast egg preparations or custards. If they contain no milk products (read ingredient lists on individual products), they may be used in vegan diets. (A) Representation of the 3 main components of a vegan meal and the inclusion of some nutritionally dense leafy greens such as kale or collards which are an important source of calcium and iron in a vegan diet. 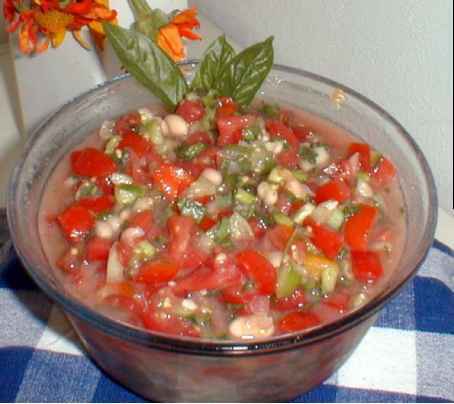 For example, these can be served as a side dish (i.e., briefly sauteed) or as a side salad (i.e., raw with dressing). Generally, I do not feel it is a good idea to serve fruit (which is the only other main component of a vegan diet) with a normal meal because fruit is easily digested, and is not really suitable for digesting with other foods (like grains and protein foods). I think it is best eaten by itself. Tortillas This unleavened bread can be made out of all kinds of flours ground hominy (masa), cornmeal, wheat flour, etc. 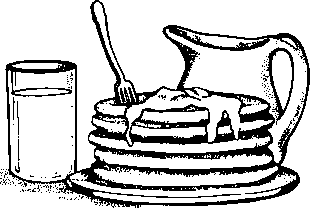 (For a masa tortilla recipe, see Hominy Flour (Masa) Recipes under Corn.) It's the shape of the end product rather than the ingredients that makes a tortilla a tortilla. If you want to read the best book in the world about making tortillas, see The Tortilla Book by Diana Kennedy. My vegan reader Ruth from Bonaire says that if you use masa to make tortillas, you don't need shortening. 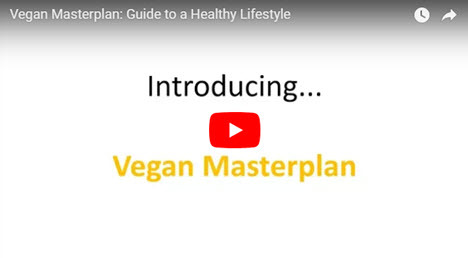 The best part is you do not have to wait for Vegan Master Plan Health Guide to come in the mail, or drive to a store to get it. You can download it to your computer right now for only $17.00.